Dario Devalis, the proprietor of Montreal's BadSwing night club, is facing several charges of invasions of privacy after police received a tip that he had installed a two-way mirror in the women's bathroom. "On the other side of the mirror was a VIP room that the owner would rent out to men," says Sgt. Tremblay of the SPVM. "The owner charged men $500 for access to the room, which allowed them spy on women as they went about their business in the washroom. This sort of egregiously offensive behaviour should not be tolerated in a civilized society." A class action lawsuit against the owner is being organized by several female patrons, many of whom feel deeply betrayed by the subterfuge. "Women go to clubs to have fun," says Beatrice Basil, who is organizing the lawsuit, "they don't go to get leered at by drunken perverts spying on them from behind a two way mirror." Urban anthropologist Didier Groulx says this latest misogynistic prank is just one in a series that have plagued Montreal's night life community. "Montreal's night life scene is dominated by men. It's a boy's club, and it is rife with misogyny. 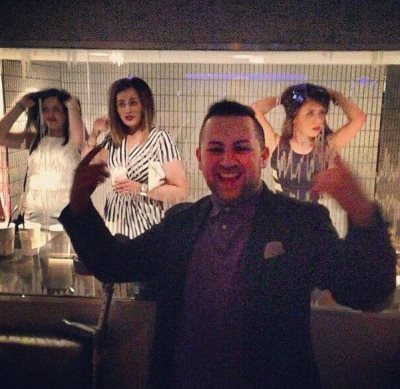 I'm not at all surprised that a club owner installed a two-way mirror in a woman's bathroom. I am, however, surprised that he's the only one who has been caught doing it. Given the general attitude most club owners and promoters have towards women, I assure you, there are several clubs in Montreal who are guilty of the same crime." Didier points to the owner of CocoTonix, who was arrested last year after a female patron discovered a hidden camera in a bathroom stall. "Montreal promoters and club owners are pigs. Many of them have ties to organized crime, hardly a bastion of progressive thought. The entertainment industry is dominated by chauvinism, and women would do well to only support clubs owned and operated by other women -- at least until the men who run Montreal's night life start taking sexism seriously."